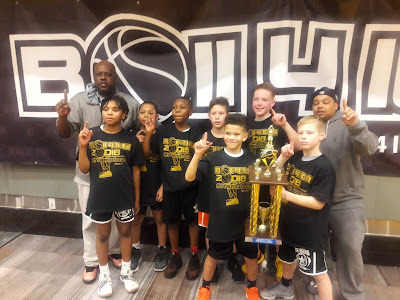 BASKETBALL SPOTLIGHT NEWS: Ball 4 It All 5th Grade Championship Recap: Nuke Nation Crowned Champions! Ball 4 It All 5th Grade Championship Recap: Nuke Nation Crowned Champions! In the 5th Grade Championship Nuke Nation ran past Dream Team Academy 50-26 to win the Ball 4 It All 5th Grade Championship. Congratulations to both teams for making it to the finals. Stay tuned as we bring you more top performers from this event.